Believe it or not, a bankruptcy is not the end to access to credit. While having a bankruptcy on your credit report is not good for your score, it will not automatically disqualify you for a loan or credit card. In fact, most banks see people as better risks after a bankruptcy, since bankruptcy removes most of a consumer’s debt load, increasing their disposable income. 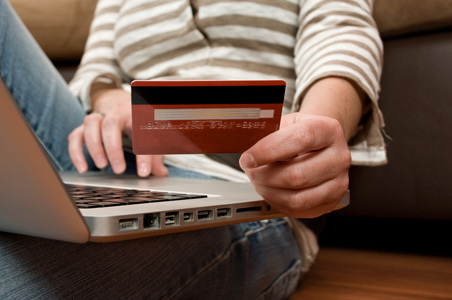 You should always try to get a credit card immediately after a bankruptcy is finalized. Rebuilding your credit history starts with the first account. Unless you add new accounts, your last action on your credit report will always be your bankruptcy. Lenders want to see that you have changed your spending habits after bankruptcy, and a reporting credit card on in your history is valuable evidence of a changed financial future. Focus on the lower-end – You will not be approved for large credit limits or cards with massive rewards. Instead, you will want to focus on cards for people with bad or no credit. These credit cards usually have practical $500-$1,000 credit limits with few rewards. Of course, as time goes on and you consistently repay your balances, your credit score should improve considerably. Start with a different company – Banks use their own internal risk models alongside credit scores and credit reports. Seek credit from a new credit card company that was not involved in your bankruptcy. Banks are known to have customer black lists – customers they will not accept due to a recent bankruptcy or charge-off. Blacklisted customers are not on the blacklist forever; you are typically removed 6-12 months after a bankruptcy. Consider secured cards – Your best chance for an approval is with a secured credit card, one which requires part or all of your credit line to be secured with a deposit. A secured card will report to credit bureaus like any other, meaning that you’ll still get a boost in your score. Also, you can deposit or withdrawal funds from your collateral account at any time, allowing you to increase or decrease your credit line by your request.